The Catawba Region is composed of four counties in the north-central section of South Carolina. 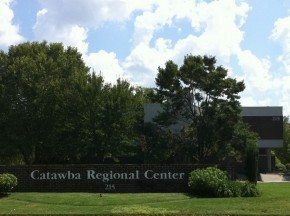 The Catawba Regional Council of Governments (COG) was created in 1970 to provide a broad range of assistance to local governments in the region. In 2010, the Census Bureau reported a total population of 364,826 in the region or a 25.8 percent increase over 2000. York County is the largest and most rapidly growing county in the region, with a 2010 population of 226,073. The county is experiencing growth related to the expansion of the Charlotte urban area. Lancaster County, with a population of 76,652, also is experiencing rapid growth in the northern sections of the county influenced by Charlotte. Chester County has experienced lesser growth in the past ten years and has a population of 33,140. Union County’s economy is largely oriented to the Greenville-Spartanburg urban area and has a population of 28,961. The region contains 21 municipalities and the Catawba Indian Nation, a federally recognized tribe with a reservation in eastern York County. The largest city is Rock Hill in York County, with a 2010 population of 66,154. The COG offices are located at 215 Hampton St, Suite 200, Rock Hill, SC 29731. The Catawba Regional Council of Governments is an equal opportunity employer. Auxiliary aids and services are available upon request to individuals with disabilities. Click here to view the South Carolina Association of Regional Councils Brochure.